Some cannabis coffee shops still exist in Holland, but the weed scene is ruined. The 2015 Thanksgiving week in Amsterdam was the first one in a quarter century that didn’t have hundreds of people from all over the world attending the Amsterdam High Times Cannabis Cup. High Times played down the fact that it gave up on the Amsterdam Cannabis Cup in 2015. 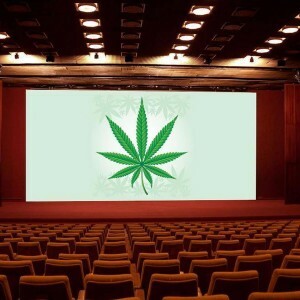 The Amsterdam High Times Cannabis Cup, which used to be the most exciting, most important, and most popular international gathering for cannabis breeders, growers, sellers, and users, disappeared without a trace in 2015. That’s because the Dutch government took a hard-right turn against the cannabis industry. Beginning in 2002 and getting worse as the years went by, the Dutch government attacked the country’s multi-billion dollar cannabis industry. 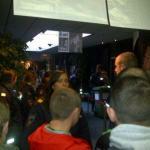 During the 2011-2014 Amsterdam Cannabis Cup events, Dutch authorities harassed High Times Cannabis Cup participants and organizers so badly that they ruined the events. In 2014, Dutch officials made it clear to the High Times crew that international weedheads aren’t welcome in Amsterdam anymore. So in 2015, the only High Times Cannabis Cup events were the ones held in America, and one in Jamaica. The demise of the Amsterdam High Times Cannabis Cup marked the final chapter in the ruination of The Netherlands as a marijuana haven. The Dutch experiment with liberalized marijuana policies started in 1976, when the government realized that a “soft drug” like marijuana was less harmful than tobacco and alcohol. The government decided to “turn a blind eye” to marijuana sales and possession. This policy greenlighted the Dutch marijuana “coffee shop” industry, which at one time had as many as 1800 aboveground and clandestine cannabis shops selling buds and old school hashish in almost every city, town, and village, except for the most conservative parts of the country. This was during at time when marijuana wasn’t legal in Colorado, Washington, California, Oregon, Portugal, and other places where it now is legal. For two decades, The Netherlands was the only place in the world you could walk into a store, legally purchase cannabis, sit in a coffee shop, park, or other public place, and inhale weed, without fear of arrest. Until the early 2000s, the Dutch government allowed marijuana coffee shops to have ample stocks of buds and hashish, and to sell to any adult who wanted cannabis, whether they were a foreigner or not. Then came election of conservative “Christians” and other anti-marijuana politicians at the federal and local levels. Pretty soon, in part due to pressure from France, Belgium, and Germany, Dutch officials restricted and sometimes closed marijuana shops in border regions. Regulations banned foreigners from setting foot in Dutch cannabis shops within the border zone, causing many shops to close. At the same time, Dutch police stepped up their efforts to root out homegrown marijuana cultivators and hashish producers. The domestic Dutch marijuana growing industry had always been persecuted, even during the most liberal period of the Dutch cannabis tolerance experiment. Almost all marijuana growing in Holland is done indoors because the country’s weather is lousy and its soil and water are mucky. Most of the country is below sea level and was reclaimed from the sea by a massive system of dykes, canals, and other engineering. Many Dutch growers operate in small, cold spaces with inadequate access to premium lighting, electricity, air exchange, and other necessities that marijuana growers take for granted in the United States. The Dutch grow a large percentage of their veggies in massive, sophisticated greenhouses, and some of these were covertly converted to marijuana growing. Dutch police have always tried to suppress the country’s domestic marijuana industry. This created a massive black market, organized crime smuggling and cannabis growing industry, fueling domestic and international gangs. In fact, in most Dutch coffee shops, almost all the hashish was from Morocco and India, smuggled in by criminal cartels. The hashish was often full of contaminants, as was a lot of Dutch weed that I sampled at the Amsterdam High Times Cannabis Cup events. 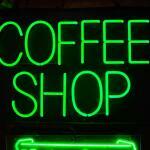 I was often disappointed by the low quality of the cannabis and hashish at most cannabis coffee shops. Only at the finest establishments such as The Dampkring, Grey Area, Barney’s, and Bluebird could you get connoisseur cannabis and pure, tasty hashish. After the Euro became the currency for Holland and the rest of Europe, Dutch weed became more expensive. Then police and officials started talking about banning foreigners from the coffee shops, or limiting purchases to a few grams. They closed the “smart shops” that sold magic mushrooms, peyote, and other entheogens. They put on ridiculous restrictions that closed many coffee shops, including bans on cannabis coffee shops close to schools. These ludicrous regulations, along with the fact that international cannabis tourists are now going to Colorado where you can buy a quarter ounce per day, have decimated the cannabis retail industry. 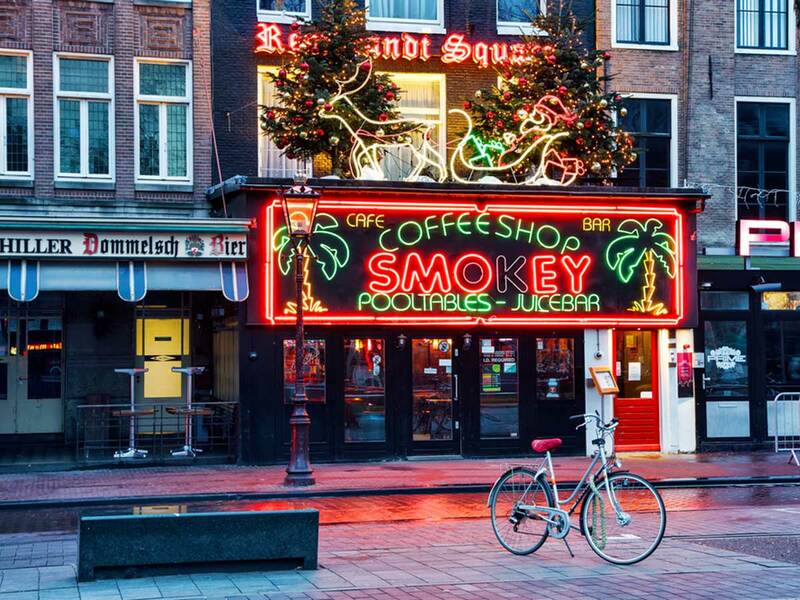 Amsterdam used to have nearly 700 cannabis coffee shops. Today it has less than 300. The numbers for the rest of the country have dropped drastically as well. At the same time, the Dutch government tightened laws governing prosecution of home-based marijuana growers. Used to be that Dutch folks could grow as many as five marijuana plants without much fear of getting busted or sent to prison. The new laws say if a grower has grow lights, ventilation equipment, high-potency marijuana seeds or strains, fertile soil, or hydroponics equipment, that grower is to be considered a “career criminal” worthy of severe penalties that include prison as well as social exile. Obviously, the Dutch government is stupid. By ruining the thriving Dutch marijuana tourism industry and attacking home growers, they’ve cost the country billions of dollars in marijuana tourism and also strengthened European criminal cartels that smuggle, grow, and wholesale marijuana products, guns, and hard drugs. About 10% of Dutch citizens patronize cannabis coffee shops and for that reason there probably always will be some cannabis coffee shops in The Netherlands. Holland is an interesting, historic, sophisticated European country worth visiting for its museums, parks, architecture, and tulips. The fact that you as a tourist are as of now able to purchase and possess a few grams of mediocre Dutch marijuana is an added reason to go to Holland. But when you can go to Colorado as a marijuana tourist and buy a quarter ounce per day legally, there’s really no reason to go to Holland solely for the marijuana. It’s the end of an era. High Times gave us years of wonderful Amsterdam gatherings that honored and promoted the cannabis culture. But now it’s not just the end of the Amsterdam High Times Cannabis Cup, but the end of Holland’s role as the only place on the entire planet where marijuana could be openly purchased and used. Fortunately, you can still enjoy the High Times Cannabis Cup in other parts of the world!